Poker Boy wants nothing more then to be left alone in a good game of poker. But a cherub circles overhead in the poker room wanting to talk. And Poker Boy knows this cherub and knows the little guy represents trouble. 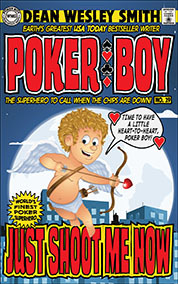 Even worse, the question the cherub asks Poker Boy could change a lot of futures.